OPCC President Niranjan Patnaik further said the State Government ignored IMD forecast of heavy to very heavy rainfall without taking any preemptive measures. BHUBANESWAR: Even as the State Government claimed to have achieved the target of zero casualties during the very severe cyclone Titli, the opposition Congress and BJP on Friday alleged that it has failed to tackle the situation and was taken completely unawares by the flash floods. President of Odisha Pradesh Congress Committee (OPCC) Niranjan Patnaik alleged that the State Government was not prepared for the rescue and relief operations in the flood-affected areas. “The State Government is blowing its own trumpet by claiming that the cyclonic storm has not caused huge loss to life and property contrary to media reports which present a different picture. Thousands of people in the towns and rural areas are marooned by the flood. 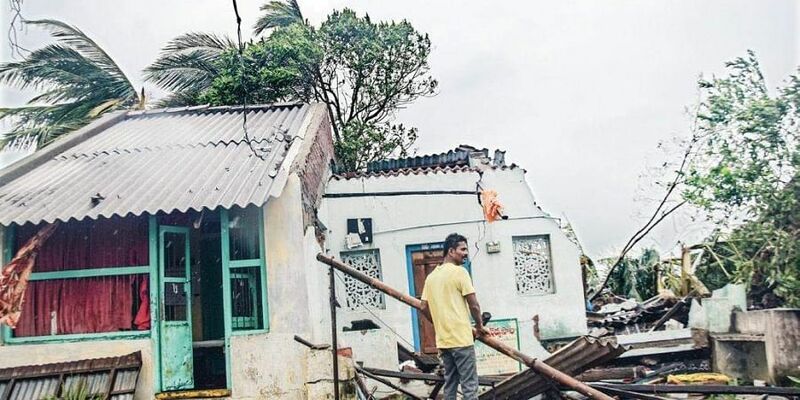 They have suffered heavy losses due to the destruction caused by cyclone Titli,” he said. Niranjan further said the State Government ignored IMD forecast of heavy to very heavy rainfall without taking any preemptive measures. He demanded that the affected people of Ganjam, Gajapati, Rayagada, Kandhamal and Balasore districts must be rescued and evacuated immediately and provided with food and safe drinking water. Niranjan will visit the flood and cyclone affected districts on October 14 and 15. He has constituted a five-member committee comprising Paralakhemundi MLA K Suria Rao, former MLA Ramesh Jena, president of Rayagada district Congress committee Durga Charan Panda, president of Rayagada Zilla Parishad Purushottam Gomang and senior leader Tirupati Panigrahi to visit affected areas and resolve the problems faced by the people. The BJP has also constituted three committees to tour the affected areas to take stock of the situation. While one committee headed by vice-president Sameer Mohanty will visit Aska, another committee led by general secretary Prithviraj Harichandan will go to Ganjam district. The third committee headed by Bhrigu Buxipatra will visit Gajapati district.